Seibertronians who are reading this post, I'll be gone in August for private matters. Now I'm not leaving forever, I am going to be away temporarily. You may not seem to care, but this also means that the release dates for "The Arrival Part 2" and "The Arrival Part 3" will be delayed. I may be on this site in August, if I decide to go on a computer. Sorry for the long wait for the comics by the way. I said it can take a long time to make a page sometimes. Especially detailing. Hopefully, I'll be back in September or the end of August. For I don't know what the future holds. Now that you have read this post, here's a distraction video to watch. Rodimus Prime wrote: You can't make me disappear. I am not feet. I'm sorry but this has to be the most ridiculous statement of all Seibertron history. Good news! I won't be leaving to Baltimore for a convention. However, "The Arrival Part 2" and "The Arrival Part 3" are still delayed due to time. I am going to show you all a preview page for the "Arrival Part 2" August 11. Preview for "The Arrival Part 2"
After a big delay, here is a preview for the upcoming issue, "The Arrival Part 2". 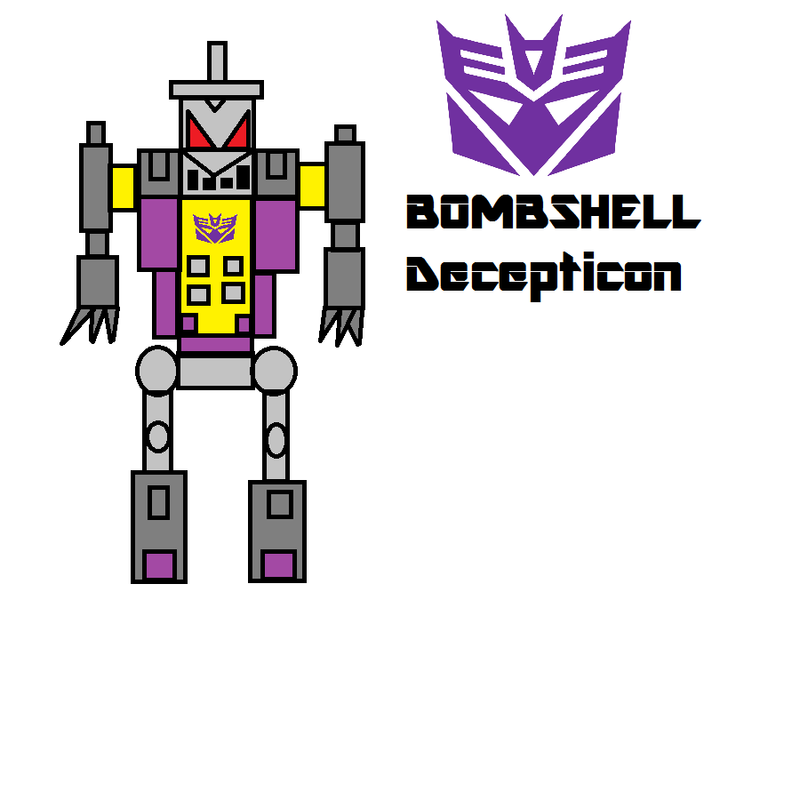 Here's an easygoing guy that you Transformers fans love and care. It's Jazz! So here's my question. Any registered members who have made polls in Seibertron, how do you make one? Is there a BBCode for a poll or is it some kind of attachment created from another source? It's about time! The new issue for Transformers: Advanced Combat is being released Saturday, November 15. So be ready for it. Before I forget, here's the new Transformers: Advanced Combat issue. You can read the entire issue here. Please do not be hesitant to reply below. I'd love to read your comments. Cover Art for "The Arrival Part 3"
The cover for "The Arrival Part 3" has been released! Check the cover below. Remember, you can always comment below. This is cool!! I read both comics and I like it!! Maybe I could draw a few pages for you? If you're still looking for an artist!! Here's my deviantart to have a look at my art. Ignore everything that isn't Transformer related. Everything else is. . . really bad jokes. What looks like hundreds if not thousands of Decepticon foot soldiers are coming out of the sky. Optimus and Bumblebee are the only Autobots around, at least we are led to believe that so far. Why did Optimus send Bumblebee away? It's not like he's some sort of newbie... he's been around for millions of years. The preview for "The Arrival Part 3" is now here! Go-Faster-Wings wrote: This is cool!! I read both comics and I like it!! Maybe I could draw a few pages for you? If you're still looking for an artist!! I needed help with drawing comics because of the long time it takes to draw them. However, I do have a project for Advanced Combat, but that's not going to be announced until next year, until everything has already been set up (story-wise). SneezyDVegas wrote: What looks like hundreds if not thousands of Decepticon foot soldiers are coming out of the sky. Optimus and Bumblebee are the only Autobots around, at least we are led to believe that so far. Why did Optimus send Bumblebee away? It's not like he's some sort of newbie... he's been around for millions of years. Can't say much, but if you think about it Optimus hasn't seen Bumblebee in a long time (in human years). In this futuristic setting, he can only relax in the past since he's used to it. Change has to fit in his head. Well it's your story, so if you say so, that's how it is. But this might be something you want to consider - if we're working with G1 optimus, according to the cartoon - he's about 9 million years old. He hasn't seen Bumblebee in 100 years. That is long to a human, but to a Transformer, that's the equivalent of not seeing someone for about 9 hours... as you get older, pieces of time get smaller percentage-wise, and you perceive them less. for someone as old as Vector Prime, he might feel like an entire generation's lives would blink in and out in a second, through his perception. Just a thought. He still wouldn't turn away much needed back up. it'd be like "Oh bumblebee, haven't seen you since *last night*, how about helping me kick these decepticons' cans?" As a Christmas surprise, here's "The Arrival Part 3"! You can click here to view the full issue. Don't forget to comment below! Merry Christmas! January 5th will be the announcement for my big surprise. That's it unfortunately. The cover of "The Arrival Part 4" is down below. Keep your optics sharp for this issue. And remember, comment below. Oh and I have a theory that days on Cybertron is much faster than time on Earth and that Cybertron's years are longer than Earth's. Therefore, in Earth years, they are considered to be millions of years old and time is much slower on Earth making a century feel like eternity to the Transformers. This may prove SneezyDVegas wrong. so let me wrap my head around your theory. Which, again, it's your story, you can say the transformers are made out of provolone cheese and it's RIGHT because it's your story. anyway, blah blah blah let me just get right to my questions. 1) When you say Cybertron's days are faster - do you mean the days are SHORTER, or that time actually moves faster on Cybertron? as if Cybertron was in some sort of weird warp area of space where time is sped up? 2) their years are longer than ours? that's entirely possible. I was discussing the concept of time on Cybertron with a friend. in the marvel days, they described time as breems and vorns.. i think a breem was 8.3 minutes, and a vorn was 83 years or something. so if something was 100 vorns old, he was 8300 years old. The question is - does your Cybertron revolve around a star, or does it float aimlessly like it did in the G1 cartoon? Because a planet's year, based on how humans measure it, is how long it takes to orbit its parent star. If Cybertron is an orphan, then it technically has no year, at least by how we measure it... And if THAT's the case, do you have a theory on how they measure a year? If the Transformers are considered millions of years old in Earth years, then 100 Earth years is STILL a blink of an eye. a century is a tiny part of a million years. 3) you say time is much slower on Earth, so are you simply saying that things happen slower on Earth than on Cybertron? If I were to go to Cybertron, would I rapidly age, as time goes faster there? Is that what you're saying? sorry if i wrote a book, i tend to just go on and on... The subject of time in regards to how Transformers relate to it is interesting. But I doubt that's what you wanted to focus on while writing your comic. Keep it up, i'm curious to see where this goes! I like this! I would make one myself but it seems like I would copy yours too much, maybe I can help with artwork? Drawing Transformers on paper is my thing! But drawing them on a program is different, I would like to try though. Here's the great reveal for Transformers: Advanced Combat. That's right. A video game (unofficial). My plan is to combine artworks of other contributing artists with mine in one action-packed Transformers video game using the GameMaker software. Production won't start until the basic story of Transformers: Advanced Combat is understood and after I release Transformers: Mystery of Convoy this year. During production, the comics will start to release slowly, so don't expect a lot to the thread. I will also need 3D or 2D animators, sound editors, composers, voice actors, and some programming help (greatly needed). If you want to send me story ideas, that'll be okay and maybe it'll be a part of the game. Transformers: Advanced Combat The Game will most likely be released late 2016 or early 2017. I haven't been active due to me working on Part 4. And don't worry, I'll credit anyone who has helped with the project. Oh great! Now I'm nervous. Last edited by OptimalOptimus2 on Tue Jan 06, 2015 11:26 am, edited 1 time in total. How long have you been into TFs? What was the first series you got into, how old were you? It's great to see such passion for the franchise. and if you could answer my other questions so i could stay in the loop on your story, that would be cool too! The preview for "The Arrival Part 4" is down below! The "Arrival Part 4" has been released. Click here to view it. And don't forget to comment below! Here's the cover for the fifth issue "Calling All Autobots"! And some new characters to add on the roster! Don't forget to comment below! And those of you who want to help me with Advanced Combat, I suggest concept art for locations like the Autobot headquarters (which is an abandoned power plant) and the interior of the Tyrannis (the Decepticon spaceship). And I like your art Rainmakers. Very unique. 4,154 pages were recently viewed by 948 unique visitors. This page was viewed 1 times on Friday, April 19th 2019 5:12pm CDT. © 2019 Seibertron, Inc. DBA Seibertron.com. All Rights Reserved. Established June 2000. Seibertron.com is owned by Ryan Yzquierdo.